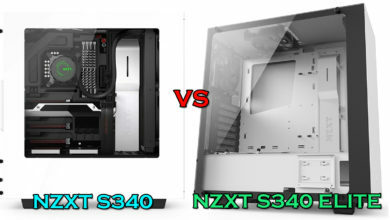 The question of which is better for gaming between Membrane and Mechanical switches is the question asked by millions of gamers across the world as not everyone used each and every type of keyboard but they want to know from which type of keyboard they will benefit from in gaming and even in productivity. 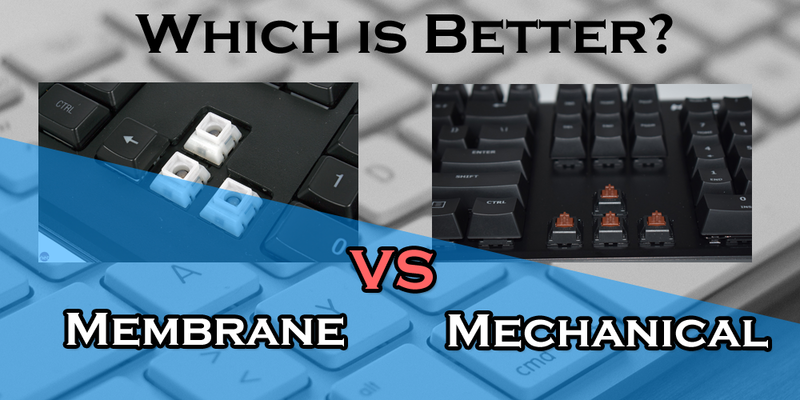 The comparison of different mechanical switches is even more complicated but the difference between their performance is not that great when you compare membrane switches to mechanical. 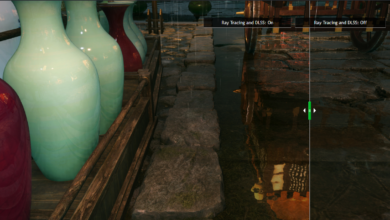 When I switched from the membrane to mechanical for the first time in 2016, it was a totally different experience in gaming which just can’t be explained in a few words. 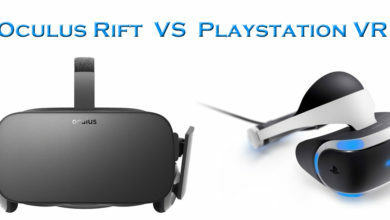 From the outer appearance itself, you can see huge difference between these two switches. Membrane switches are hollow and don’t use a complex mechanism. They use cheap plastic with some rubber paddings at the bottom so that when you press a key, the paddings touch the PCB to make a contact for the key to get registered. In mechanical switches the case is different, the switches have complex mechanisms that uses springs for some resistance and their outer appearance is not hollow. Rather, the switches can be seen individually pointing out on which the keys are fit on. These switches can be of different colour. You will find Red, Blue, Brown, Black, Green etc. coloured switches which all function differently. These look much better than the membrane switches and are generally dust resistant. 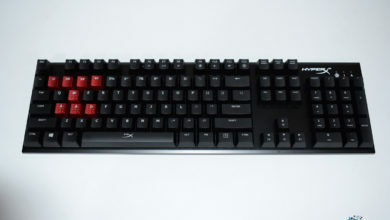 There are switches like Cherry MX switches, Kailh Switches, RomerG switches and many more which are used in different types of mechanical keyboards. Most of them look similar to each other from outside but some are completely different in looks as well as in working. The working of a membrane switch is simple and doesn’t use complex mechanics. They are placed just to make the keyboard work, unlike the mechanical switches which use several components in each and every switch which work together in the process of actuating. The working of a mechanical Red cherry MX switch can be seen on this page. Similarly, you can check out the Cherry MX Blue Switch. The mechanism is the same but there is some more hindrance in Blue switch which makes tactile feedback and a clicky noise when you press a key. The force required in each of these keys are different. In a normal membrane keyboard, the force required is minimal and there is no fixed amount of force for actuation but the mechanical keys vary in force put on the keys for actuation. For example, the Red switches actuate when the force put on them is 45cN while the Blue switches take 55cN force to actuate. This force varies in mechanical switches and thus they provide even more options for you to choose from. Personally, I like Brown switches the most as they fall between Red and Blue switches. Blue switches make a lot of noise and take more force while the tactile feel is not that observable in Red switches. Brown switches work for me the best. So, it depends upon you which one you like. 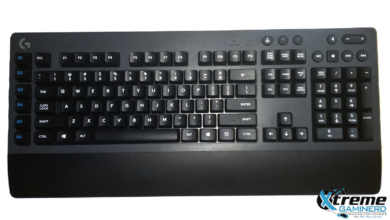 Cost is the biggest factor where one decides a membrane or a mechanical switches keyboard. If you don’t have enough money, then the membrane will be just fine but if you think you can afford a mechanical keyboard, then go with it even if the lighting effects aren’t there. 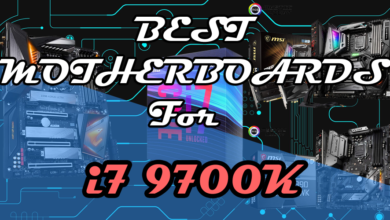 As the trend of RGB lighting effects is prevalent in peripherals, it may be a deciding factor for a person to choose a membrane RGB keyboard over a non-RGB mechanical keyboard. But at the end of the day, it’s the performance and the reliability which matters the most. I would recommend going with a mechanical keyboard even if it doesn’t have any backlighting yet alone the RGB lighting effects. The cost of a basic mechanical keyboard is generally three times more than that of a good membrane keyboard. 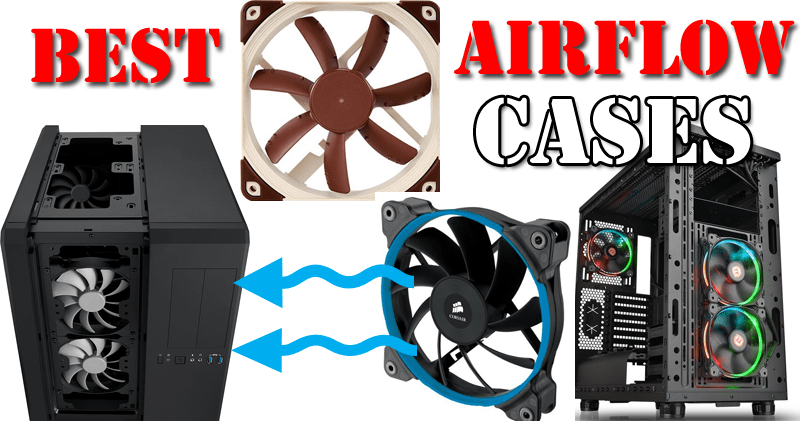 But there are some unfamous custom mechanical keyboards online that cost much less than the mechanical keyboards produced by Corsair, Cooler Master, HyperX etc. Let’s come to the most important point which is the Performance. 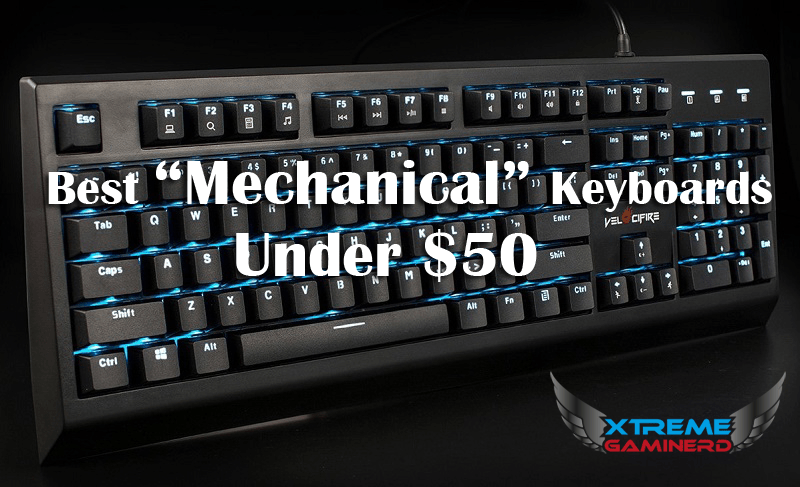 In Gaming as well as other productivity works, mechanical keyboards are several times better than the membrane keyboards. If you want to type faster and want to feel good typing, then mechanical keyboards will provide you with a complete sense of satisfaction. 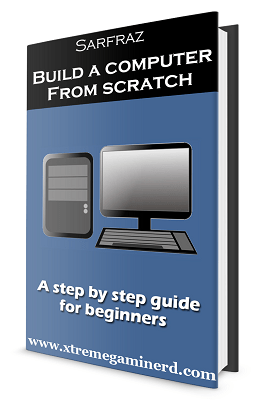 You will want to type more and more and won’t be tired of your work. In Gaming also, using Red Switches is a great way of reacting faster in fast-paced games like CSGO where a fast reaction is required. Mechanical keyboards also have a longer life and work for years. A normal Cherry MX switch is made to work for around 50 million strokes which is one of the best reliability options you can get on a keyboard. Also, these keyboards require very less maintenance, unlike the membrane keyboards which become rusty so fast in a couple of months that you need to clean them very often. 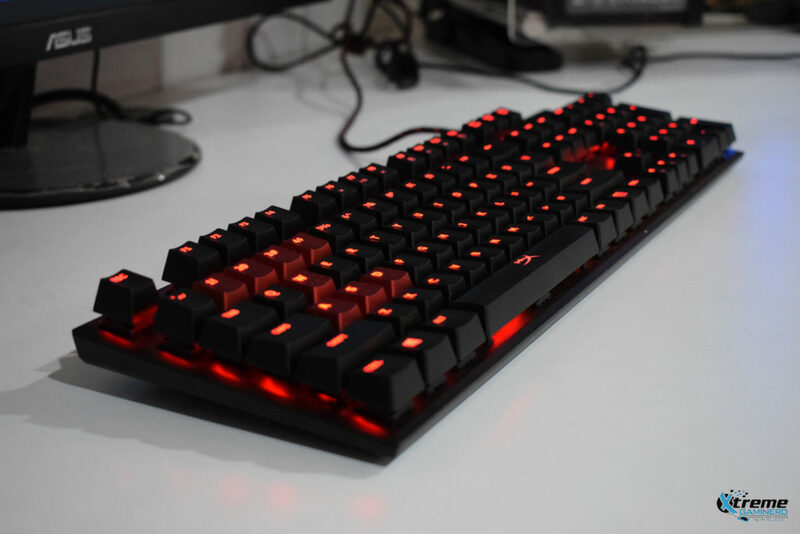 If you have never used a mechanical keyboard and currently are in a state where you need a new one, then I will suggest you to give it a try, be it a cheaper one. You will never want to return to a membrane keyboard once you start using a mechanical keyboard. 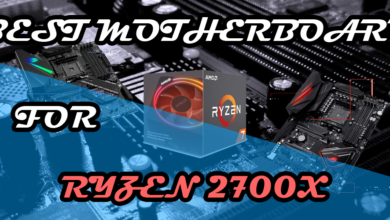 Your performance in different areas will increase and it will save you some amount of money in the future as it has a long life, unlike the membrane keyboards where you have to change the keyboard after a couple of months if you use them aggressively. But in the end, if you don’t have enough money or you are just a casual user of computer, then a membrane keyboard will work just fine.